Well, last week, I got to have some different “me” time. It involved a Dot.Com, but of a different breed. 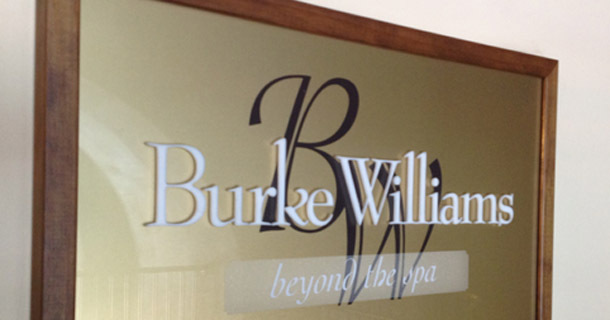 Burke Williams, a wonderfully luxurious spa, invited me to come in to try their new treatment. Having been to their Santa Monica location waaaaayyyy back when once (my first spa experience thanks to the ad agency I worked for back then), and the Santana Row location about a year ago (thanks to a gift card from Lenny), I knew to jump at the opportunity. The Dot.Com enhancement. I’d read about it. And it sounded like just what I needed. Special stretches and massage tools to focus on the neck, arms, wrists, upper body—all the areas that my addiction to technology takes a toll on. I was eager to see if this was really all that different from a good ol’ fashioned massage. As soon as I stood up, I felt an inch taller. My chest and shoulders, which are usually all bunched up, were open and strong. My massage therapist gave me some pointers to avoid feeling sore, but I did feel a bit achy over the next couple days…especially in my right arm/wrist where I’ve been having a lot of problems the past year. I feel like that’s a sign that she worked out some of the tension I’ve built up over many years of dot.com’ing. Well, right now (through June 30, 2012) Burke Williams is offering a special promotion. Spend $150 on a gift card and you’ll receive a complimentary $25 gift card. For each $250 gift card purchase, you’ll receive a complimentary $50 gift card. Father’s Day, graduation, wedding gifts, birthdays… A little something special for them, a little something special for you. Find a Burke Williams near you (locations throughout California) and call to get in on the promo. Enjoy! Disclosure: The 50-minute massage and a muscle therapy spa bath were compliments of Burke Williams for review purposes. All opinions expressed are my own.